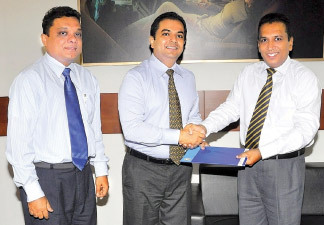 SriLankan Airlines and EDEX signed a memorandum of understanding to serve as the ‘Official Carrier’ for 3 years. This is the second time in succession Sri Lankan Airlines will promote the airline at EDEX Expo. Chairman, EDEX at the event. Regional Manager Sri Lanka and Maldives, Sri Lankan Airlines Saminda Perera said “As the national carrier, SriLankan Airlines is pleased to partner with EDEX in supporting its initiative to empower Sri Lankan youth to be globally competitive. We are happy to provide students connectivity to global education hubs as they seek to further their education. “Students make up a key segment in the foreign travel market and SriLankan Airlines is well poised to offer the best service with its direct flights as well as wide network of destinations” added Jayantha Abeysinghe, Manager Sales (Agency/Passenger). Overseas participants of the EDEX Expo will enjoy a special discount of 15% for inbound travel from destinations served by SriLankan Airlines. The Airline will offer students and their families, as well as visitors to the exhibition a fantastic discount of 30% on air tickets. In addition students will benefit greatly from the added baggage allowance allowing them to carry up to 40kgs when they travel overseas for studies. This would be especially useful, for students who remain overseas for extended periods of time, enabling them to carry not just their necessities and favourite items along as well. The large number of students pursuing higher studies in countries such as the United Kingdom, Malaysia, Singapore, China, India and Russia stand to directly benefit from this offer. The award winning national carrier operates a fleet of 22 modern Airbus aircraft fitted with luxurious flatbed seats in Business Class and the latest inflight entertainment systems. On average, it carries 3.5 million passengers a year between its Colombo hub and 63 destinations in 34 countries across Asia, Europe, North America, Australia and the Middle East. Those who wish to make use of these benefits are first required to register at the EDEX Expo to be held from January 18 to 20 , 2013 at the BMICH.